The Aroma Touch Technique is the clinical application of essential oils to benefit heath and relaxation. This technique is designed to address four systemic constants that are present in daily life and which may serve as limited factors in heath: stress, immunity, the inflammatory response and autonomic imbalance. The application of six essential oils is done with simple hand techniques along the spine, back, neck, head and the finally the feet. This technique differs from a traditional Swedish massage in that the focus is not to work on muscle tension but to bring a balanced homeostasis to the body, often resulting in reduced muscle tension. 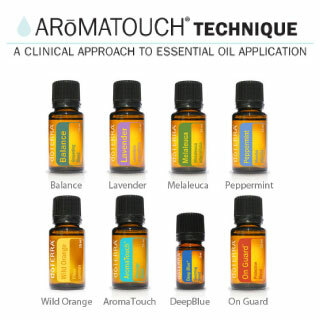 The oils used in the Aroma Touch Technique have been selected specifically for its individual therapeutic benefit and aroma. 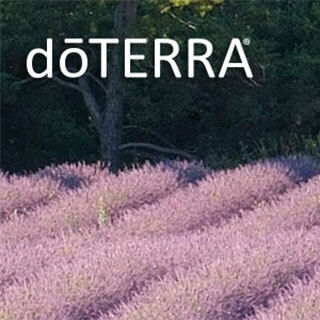 dōTerra is an essential oils company committed to making quality oils available for every person. Essential oils can help a wide variety of physical and emotional needs, having been used throughout history in many cultures for the medical and therapeutic benefits. Their unique chemical structure allows them to pass directly through the skin for immediate systemic response to topical application.